WBG Reporting provides data warehousing, operational, and analytical reporting services for a variety of source systems such as SAP, CREST, Coeus, InfoEd and others. The Business Intelligence (BI) suite of tools include Web Templates, Dashboards, Crystal Reports, Web Intelligence, Lumira and several others. These tools possess varying navigational functions that are both intuitive and use friendly. 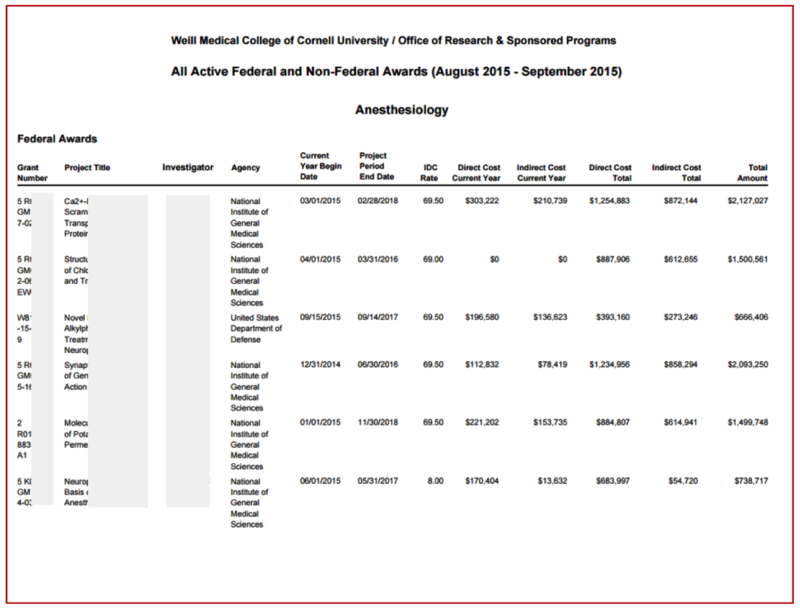 WBG Reporting is available across departmental and central offices at Weill Cornell Medical College for both New York and Qatar campuses. Delivery – Decision making can be expedited by delivering trusted information when and where it is needed. WBG Reporting provides operational and analytical reporting services. 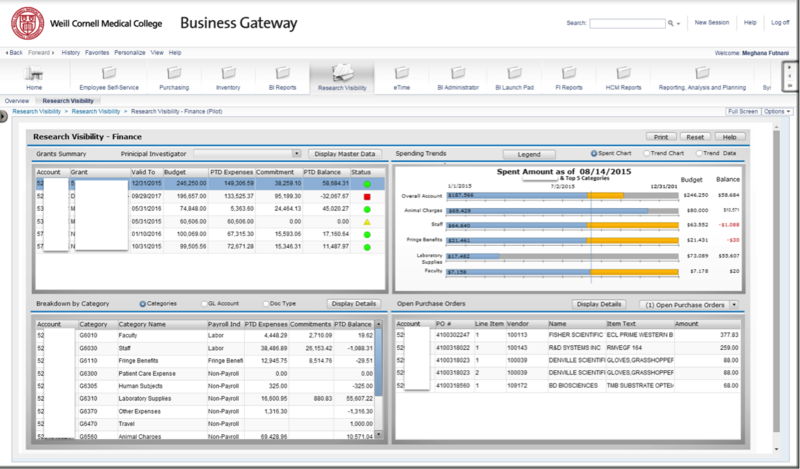 Data can be read directly from the source transaction system in real time or extracted and stored in the Business Warehouse (BW). 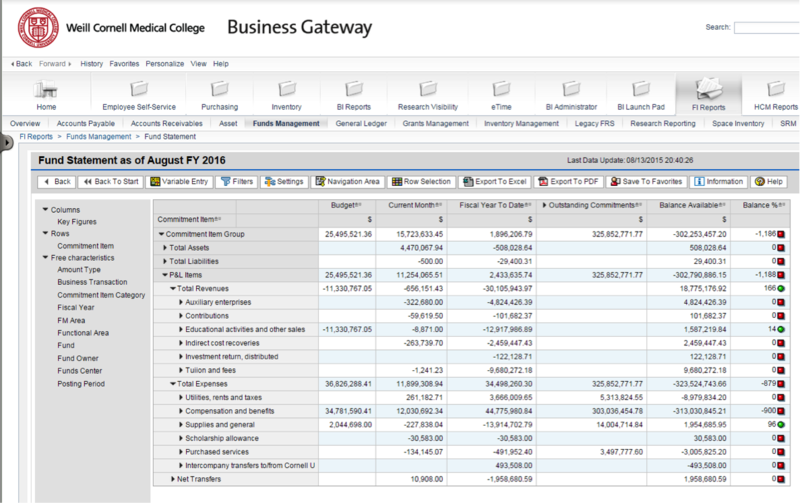 Business Area – Depending on your role at the college, we provide a starter set of reports supporting business areas such as Human Resources, Finance, and Research Administration. Roles are tailored based on the area you support, such as Central Finance, Central HR, Budget Office, PO Finance, academic departments, and Research Administration offices. Quality and Security – The quality and security of the data is ensured, with a flexible security model to choose from. In addition, data integrity is monitored for accuracy and consistency through thorough testing and verification. User Experience – The BI suite of tools allow for flexible reporting and analytics, tailored to the user’s needs. Intuitive drag and drop functionality, visualization capabilities, export options and charting capabilities combine to provide robust analytical options. In many cases, reports can be rearranged into countless versions without IT involvement, allowing for self-service reporting. Goal - The goal of WBG Reporting is to facilitate the interpretation of data in a meaningful way. WBG Reporting simplifies the process of answering business questions and gaining business insights. Note: This service can also be accessed via myApps.